A 7,000 year-old Native American ancestral burial site in the Gulf of Mexico near Venice. 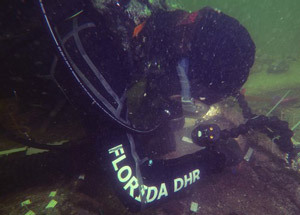 The Manasota Key Offshore archaeological site is unprecedented. It is located on the continental shelf in offshore waters, preserved in what appears to have been a peat-bottomed freshwater pond thousands of years ago. Join Dr. Ryan Duggins as he discusses how important it is to remember that this is a burial site and must be treated with the utmost respect. This will forever change the way we approach offshore archaeology. Ryan Duggins earned his Ph.D. from Florida State University. 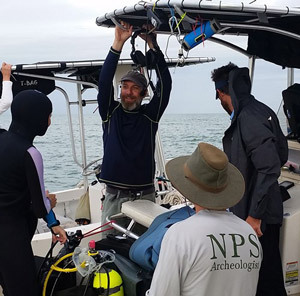 His dissertation, “Florida’s Paleoindian and Early Archaic: A GIS Approach to Modeling Submerged Landscapes and Site Distribution on the Continental Shelf” analyzes terrestrial site distribution and bathymetric data and results in a predictive model to locate inundated archaeological sites. Ryan’s current research interests include: submerged landscape reconstruction, terrestrial and submerged archaeological predictive modeling, archaeological applications of GIS, and maritime cultural resource management. Reception to follow in Woman’s Club Room. For further information call Boca Grande Historical Society at (941) 964-1600.